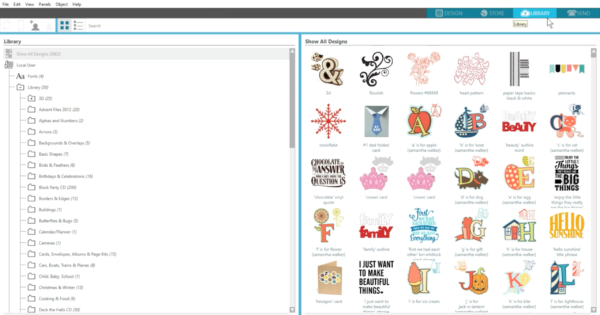 Silhouette Studio® is the powerful but easy-to-use software program that runs your Silhouette cutting machine. 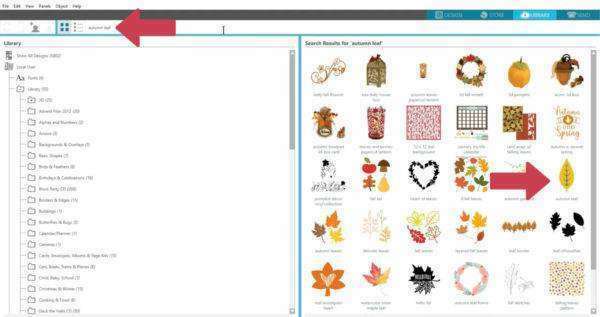 Once you have Silhouette Studio®, which can be found on the Silhouette America website, downloaded and installed and have logged in with your Silhouette account, then you’re ready to start creating designs and sending them to your Silhouette machine. and studio tools along the right. When Silhouette Studio® first opens you’ll see the work space, which is where you create all your designs. Anything on the page here in the center can be cut, and anything outside of the page border will not cut. 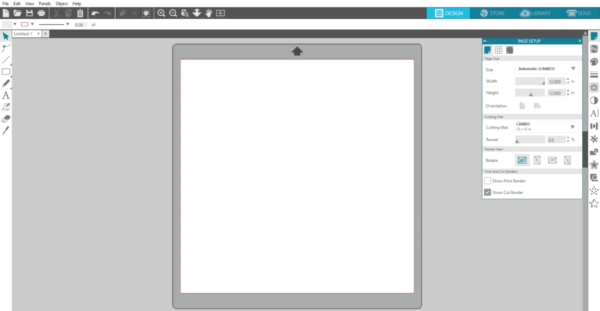 Your page size, and therefore cut area, is determined by your connected machine and the dimensions you have input into the Page Setup panel. 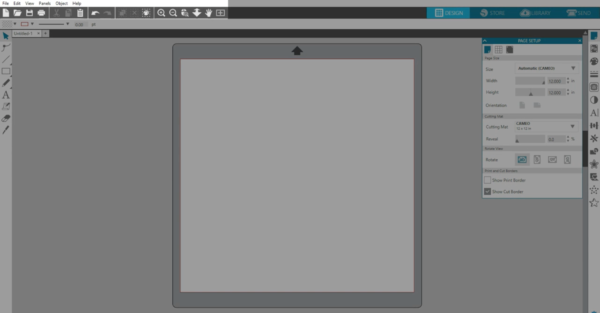 We’ll go over the Page Setup panel in more detail in another tutorial. 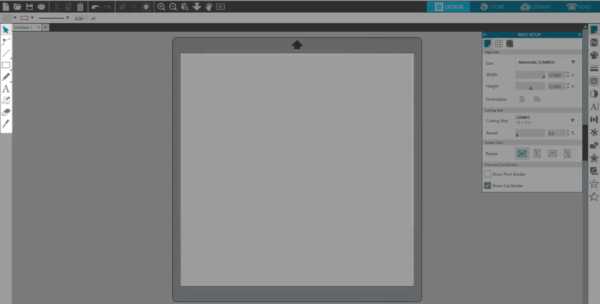 We are using the Silhouette CAMEO, so we’ve got a 12-inch-by-12-inch area to work with. 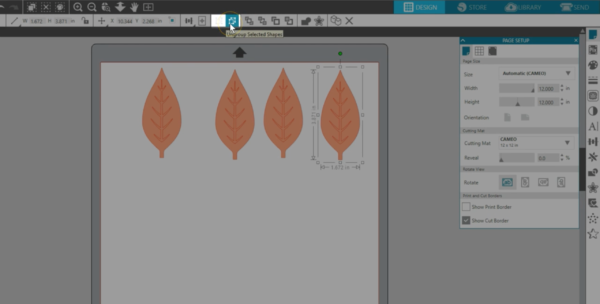 You have a few options for designing in Silhouette Studio®. 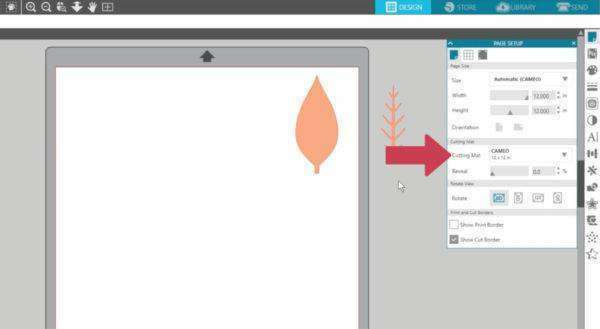 One of the easiest ways to start is with ready-made designs you can purchase in the Silhouette Design Store, along with preloaded designs that come with your Silhouette. Any designs you buy from the Design Store go to your Library. 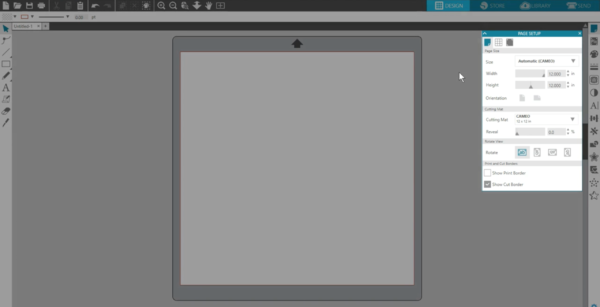 You can also use the drawing tools on their own, or in combination with existing designs. 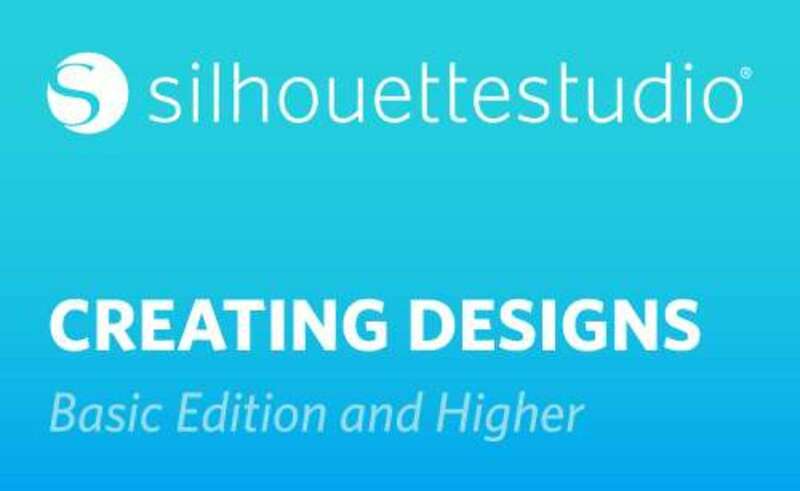 You’ll find how-to tutorials for the drawing tools in our tutorial for “Basic Design and Text Tools,” so let’s start with a Library design. We want to cut a design we’ve purchased, so we will go to the Library to find it. 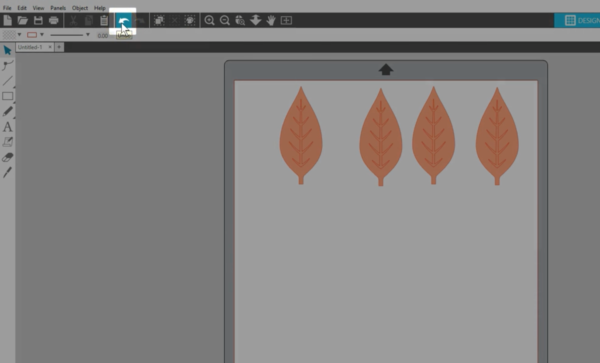 The design is called “autumn leaf,” so if we start typing that name or a keyword in the search bar, it will narrow our choices so we can quickly find the design we want. 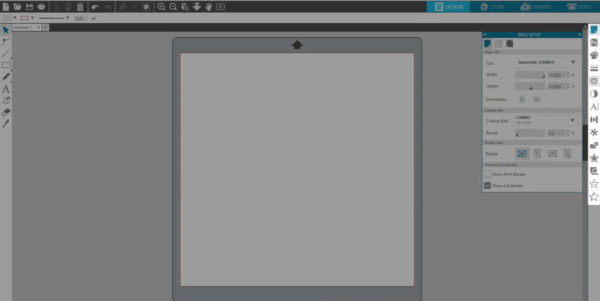 Double-click to open, and it will open on the work page. Most designs will be red cut lines when they open on the workspace, so they can be filled with color, resized, rearranged, replicated, and more. Any changes you don’t want to keep can be reversed by clicking the Undo button at the top. 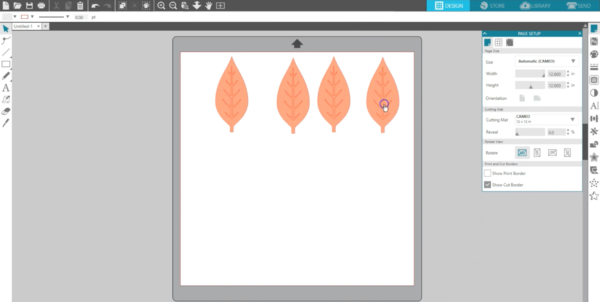 This design has a center piece grouped with it, so if we want to cut that from a different color, we can ungroup it, then save it off to the side for a separate cut job once we are done with the leaf. We are going to cut it from pattern paper, so we will need to use a mat. A mat is necessary when materials don’t have a separate backing layer. 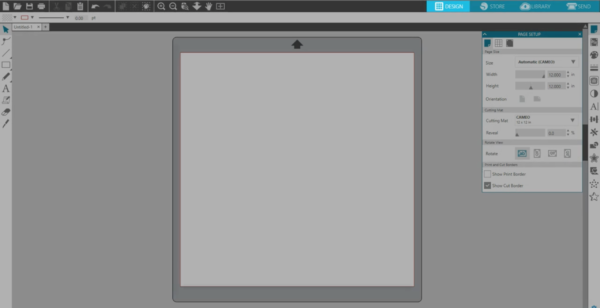 Check our tutorial on how to send your project to your Silhouette machine.